Jet Fighter Rides Melbourne is the world leader in Top Gun Jet Rides to the public, The Best Jet Flight Gift packages can be purchased for Xmas, Birthday’s and Anniversary presents. This Jet Flight is the Ultimate Bucket list present to give to an inspiring pilot for the day, scorching across the Melbourne skies. The population of Melbourne have been travelling to the port of Echuca for many years to fulfil there Top Gun dreams. Echuca is the Melbourne getaway destination for a relaxing weekend, enjoy the Murry River at its best, with great Cafes, Accommodation and the best place to relax after your Jet Flight. Jet Ride Australia is the leading adventure company in Australia when it comes to jet fighter operations. 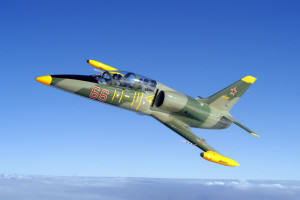 As the longest running L-39 jet fighter operator in the country our service in next to none. Our Top Gun Flights are conducted in the clear skies of the Echuca, Just a short drive north of Melbourne, Your short journey north into Jet Fighter Country will prepare you for the ride of a life time in our modern L-39 jet fighter. Experience counts with a 100% safety record. Your pilots are Australia’s best and most experienced L-39 jet pilots in the country, with Squadron Leader Phil Frawley, ( Royal Australian Air-force Jet Fighter Instructor) and Mark Pracy ( Australia’s representative in the Fastest Race on Earth, International Jet Fighter Race Pilot) Mark races in the elite Reno National Air Races In the USA. To secure a Jet Gift Pack give our office a call and all that is required is a $200 deposit and pay the balance when you come and fly. Safety is the name of the game and you are flying with Australia’s elite jet pilots. Mark Pracy and Phil Frawley.